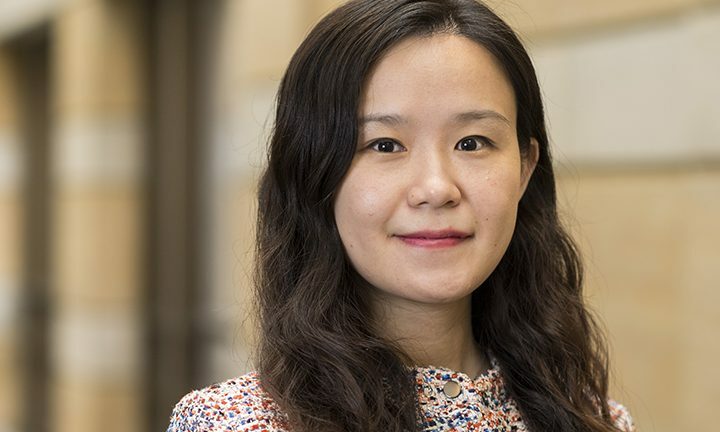 Sisi Meng is a visiting assistant professor of economics at the Keough School of Global Affairs and an affiliated faculty of Notre Dame’s Environmental Change Initiative. She earned a Ph.D. in economics from Florida International University in 2016 and a master’s degree in policy economics from the University of Illinois at Urbana Champaign in 2011. Meng’s research focuses on topics in environmental and natural resource economics, with emphasis on the economic aspects of climate change adaptation and natural hazard risk mitigation. She also focuses on the interdisciplinary studies between labor, health, development, socioeconomics, and geography to integrate multiple disciplines and techniques. She is particularly interested in applying geographic information system (GIS) techniques to spatial cost-benefit analysis of complex environmental issues. Meng aims at bringing rigorous theoretical and empirical analysis to improve climate-related decisions, and consequently improve social well-being. Meng is currently working on several projects including households’ preferences for sea level rise adaptation policies, the socioeconomic impacts and perceptions of coastal vulnerability, and resilience of critical infrastructures in the presence of hurricanes. Prior to coming to Notre Dame, she was a faculty member in economics at the University of Colorado Denver.